Group training is available for 10 or more persons. The courses are presented by Vulcan Training Facilitators at a convenient training venue of your choosing. When you enquire about a group training session we discuss your choice of training venue, course numbers, catering preferences, training days etc. We customise your training solution and provide you with a quote. Large group booking discounts are available. Vulcan Training courses incorporate group activities and interaction. This practical part of the course is carefully planned and structured to ensure the theory has been understood. These sessions also help to strengthen teamwork and if the class is made up of members from different organisations it also helps to strengthen inter-agency co-operation. Vulcan scenario training tests procedures and makes people feel more comfortable in their roles. A real benefit of scenario training is that it simulates a high pressure environment without the real life stress and consequences if something goes wrong. In fact, it is through training that we can rectify mistakes and correct errors so we don’t make them in the field. The three main types of scenario based exercises are Discussion Based, Table Top and Live Operations.Vulcan Training can tailor a scenario training exercise to meet you needs. Send us an enquiry so we can get in contact with you. We will discuss your requirements and then quote accordingly. 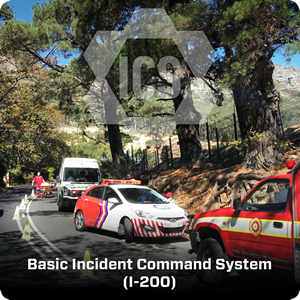 ICS I-200 will support your growth and understanding of ICS in order to operate efficiently during an incident or event within the Incident Command System, especially for personnel who are likely to assume a supervisory position. 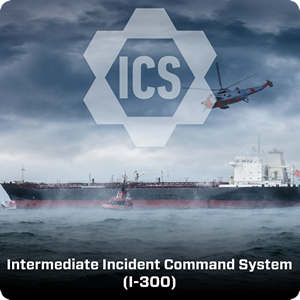 ICS I-300 explores your role in competently operating within management roles of the Incident Command System (ICS) for expanding incidents. 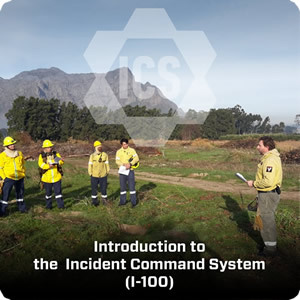 The course builds on your prior understanding of ICS in smaller and initial action incidents and explains the unique qualities of ICS as an event or incident management system in an escalating situation. The Division/Group Supervisor (DIVS) implements the portion of the Incident Action Plan (IAP) pertaining to his or her Division/Group, supervises assigned resources,reports on the progress of operations and the status of assigned resources, and provides assessment and context as input to the shared situational picture. This vital ICS position is in high demand in South Africa. Take a step up into a leadership role while still maintaining a hand in Operations. The Public Information Officer (PIO) is responsible for interfacing with the public, media, other agencies, and stakeholders to provide incident-related information, and updates based on changes in the status of the incident or planned event. Incident communication is a critical function. Rapid dissemination of information takes place through social media and todays PIO needs to stay ahead of the communication challenges, work with all the different communication channels and reach all the different audiences affected by an incident. The Task Force/Strike Team Leader typically reports to a Division/Group Supervisor and is responsible for performing tactical tasks as assigned on a division or segment of a division. The Leader reports work progress, resource status, and other important information to his or her supervisor and maintains work records on assigned personnel. 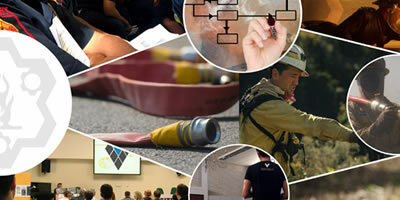 Fireline Safety Training presented by Vulcan offers participants an engaging environment in which they can take a fresh look at their approach to safety. 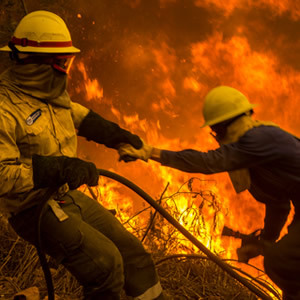 This must do Fireline Safety Training is required for all personnel participating in wildland firefighting and those who may be subject to assignments on or near the fireline. 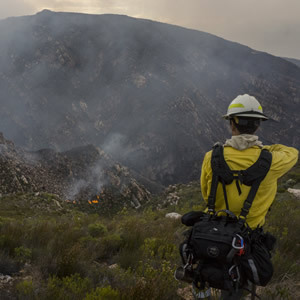 The intent of the training is to focus line-going, decision-making and support personnel on situational awareness and all issues related to fireline hazards and safety. 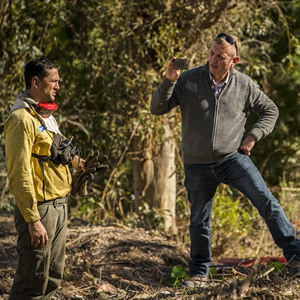 This training is perfectly structured to form part of annual health and safety training as it ensures that participants have information regarding current initiatives, lessons learned from the past fire season and critical issues for the upcoming fire season. 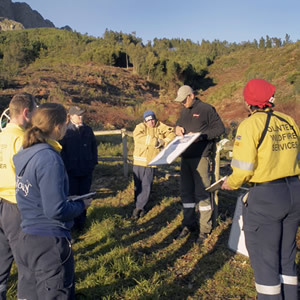 Training staff who are involved in incident planning and management is fundamental to an organisation’s ability to handle any type of emergency or incident. Only through operational experience or exercises can you start to consider your planning as reliable and workable. ICS can be daunting at first or if you are out of practice. Simulation training tests procedures as well as make people feel more comfortable in their roles and builds morale. A real benefit of scenario training is that it simulates a high pressure environment without the real life stress and consequences if something goes wrong. It is through training that we can rectify mistakes and correct errors so we don’t make them in the field. Simulations are not there to catch people out; they are about focus on procedures, personal development within your role as well as the development of teamwork. 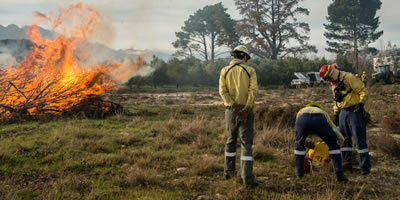 They are an excellent form of refresher and operational readiness training. Scenario Training demands careful preparation. Vulcan will work closely with your company, agency or organisation representative to develop a training experience customised to test your staff, your procedures and the types of incidents you will respond to. 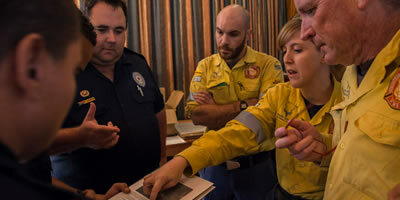 The three main types of scenario based exercises are Discussion Based, Table Top, Live Operations (Such as prescribed burning). ICS 100,200,300 courses are all available in a group format. We travel to a convenient training venue and courses are presented by Vulcan Training Facilitators. Final course costs are determined based on number of attendees, venue arrangements, catering requirements etc. One Day Course presented by Vulcan Training Facilitators at a convenient training venue of your choosing. Fireline Safety Training: challenges you to be better, empowers you to be safer. 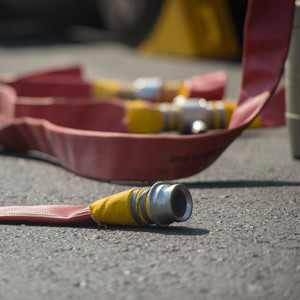 The original Fireline Safety Training course offered annually since 2016. Three Day Course presented by Vulcan Training Facilitators at a convenient training venue of your choosing. This vital ICS position is in high demand in South Africa. Take a step up into a leadership role while still maintaining a hand in Operations. Four to Five Day Course presented by Vulcan Training Facilitators at a convenient training venue of your choosing. Incident communication is a critical function. Rapid dissemination of information takes place through social media and todays PIO needs to stay ahead of the communication challenges, work with all the different communication channels and reach all the different audiences affected by an incident.